New legislation to regulate civil society organisations in Vietnam has again been postponed, amid warnings of anti-state subversion. The National Assembly had been expected to vote on the latest draft of the bill on associations in the middle of this month. The decision to withdraw the long-awaited bill means that hundreds of thousands of clubs, associations and charities remain in legal limbo, struggling against government bureaucracy to achieve even modest objectives. 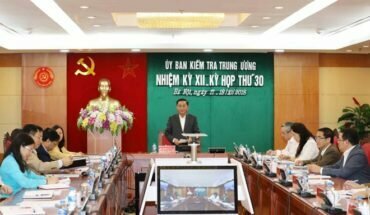 It had been hoped that the latest draft of the bill would provide a legal framework for the development of civil society, in a country where the Communist party can no longer even pretend to meet all the needs of the people. Some members of the National Assembly, however, worked to tighten restrictions on NGOs in the draft bill, and some warned that pro-democracy and human rights groups would exploit the new law to challenge government authority. Disagreement over the impact of tougher rules, including a highly controversial proposal to ban all foreign funding for associations and charities, led to the bill being shelved. Some groups are relieved at the decision, despite the continuing uncertainty about their legal position. Pro-democracy groups feared they would face outright bans and increased persecution if the bill became law. One registered NGO, the People’s Participation Working Group (PPWG), launched an online campaign calling for a delay. Analysts say the government may have lost its nerve because of a recent upsurge in support for environmental groups, following the mass poisoning of fish after an industrial leak on the north-central coastline in April. The police have been cracking down on independent bloggers and other activists, who led demands for government accountability over what became one of the country’s worst environmental disasters. The authorities are also likely to be reconsidering their position given the shock election of Donald Trump and the resulting failure of the Trans-Pacific Partnership. 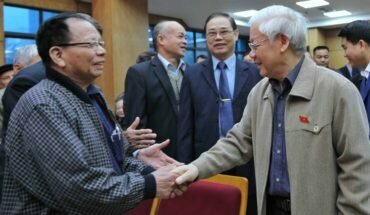 Vietnam had agreed in the negotiations for the trade pact to allow free and independent trade unions. It is considered highly unlikely to proceed with that pledge now that the United States is turning its back on the wider trade deal. 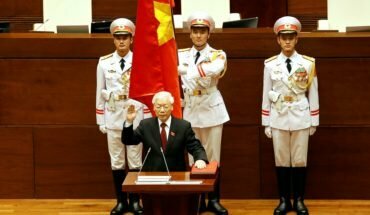 The US under Donald Trump is also likely to take even less interest in Vietnamese domestic affairs, and the suppression of free speech, than its predecessors.